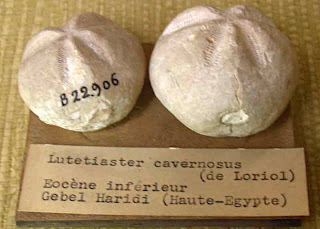 Echinoderm fossils found in Egypt and now on display at the Natural History Museum in Paris, France. This first fossil image is of the Lutetiaster cavernosus from the Lower Eocene Period. 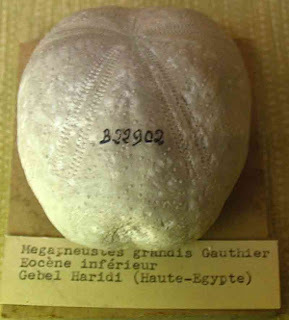 This second picture is of the Lower Eocene Period sea urchin, Megaoneustes grandis found in Egypt.